Over the last decade or so Israel has developed a worldwide reputation as a start-up nation. In other words, a country which has a huge number of newly established technological companies and is at the forefront of technological development and innovation. There are literally thousands of start-ups in Israel today as well as a number of accelerator/incubator programs which give young companies the resources which they need to thrive. These start-ups and incubators are in addition to the already famous technology companies that have major research and development being carried out in Israel, such as Google, IBM and Intel. In recent years the most famous and successful Israeli start-up has been Waze, a crowdsourced traffic and navigation system. 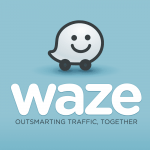 For those that don’t know Waze, it is much like any GPS system that is built into a car except that it uses driver reports in order to provide accurate journey times and up to date information. Waze is used by millions of drivers around the world and fairly recently was bought by Google for an impressive $1 billion. Of course it is extremely hard to predict which start-ups will enjoy success on the scale of Wix and Waze but the exciting thing is that there are always so many new up and coming companies in Israel. At the moment people are keeping an eye on Similar Web, a tool that analysis web traffic, and many think it will become a must-have for marketers around the world. Last year it raised $15 million in funding. A quick search online for successful or up and coming Israeli start-ups will reveal just how many companies there are and how broad the range technologies they are dealing with. Of course many of the companies work on web technologies, but this is an extremely wide category with a huge number of different applications and areas of focus. If you come on a gap year in Israel with Aardvark Israel then we will give you the opportunity to intern with a number of different start-ups based in Tel Aviv and Jerusalem. This way you will be able to gain a first-hand insight and experience in to the world of start-up companies, how they operate, the challenges they face and build your resume at the same time.